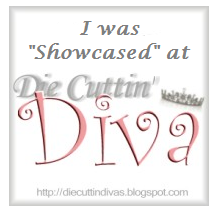 I had a wonderful time with this blog hop. I have some coming up so please come back to see the other creations we've made for your enjoyment. Your comments blew me away. I indeed read EVERY single one of them. I also plan to respond as needed. I think I added about 50 new scrappy followers friends. I hope we can build a friendship and enjoy this scrappy journey. So...I know you want the winner so here goes. We have a winner. We have a winner. Drum roll please....The winner of the gingerbread file (cut or digi) is #49 Karensk. She said..."Sorry I have no blog to link . I like your gift card holder. I will be contacting you and you will have until Friday at 11:59 pm to claim your prize or I will have to select someone else. Thank you so much for visiting and have a happy scrappin' day!